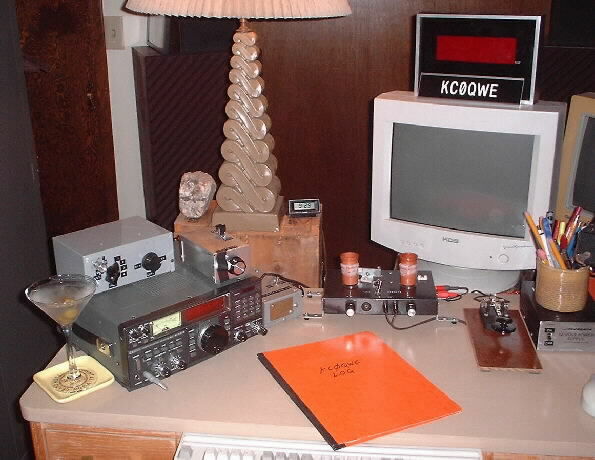 These pages are devoted to amateur radio station KC0QWE. 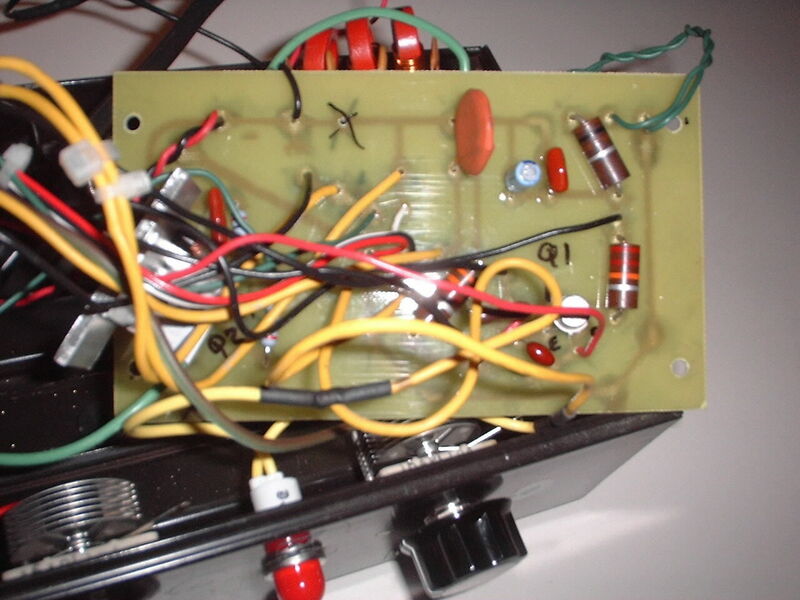 I'm currently running a homebrew transmitter based on a 1967 design by Doug DeMaw, which is used as an exciter for a Miniboots power amp putting out 8 watts. I transmit only in CW, because it suits me. 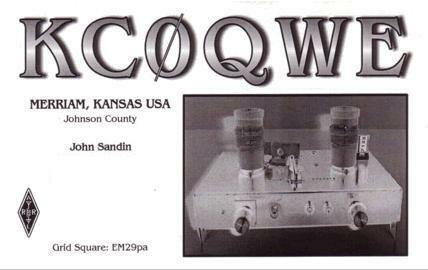 Click here for current journal of KC0QWE. 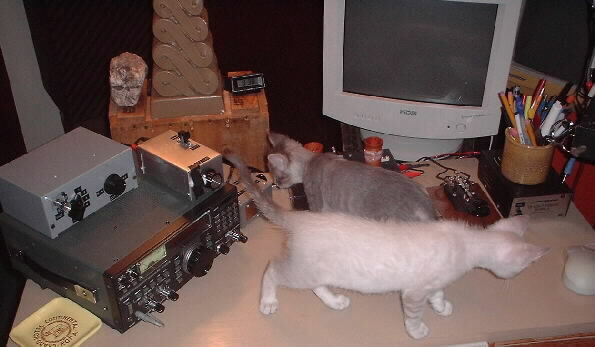 I got my General license and started working 40 meters exclusively in late 2003, and temporarily stopped my amateur radio activities in late 2004. But I'm back again. As of spring 2012, I am back on the air thanks to Ray Goff's (G4FON) Koch CW Trainer Version 9, which I highly recommend. Click here for additional schematics and diagrams. 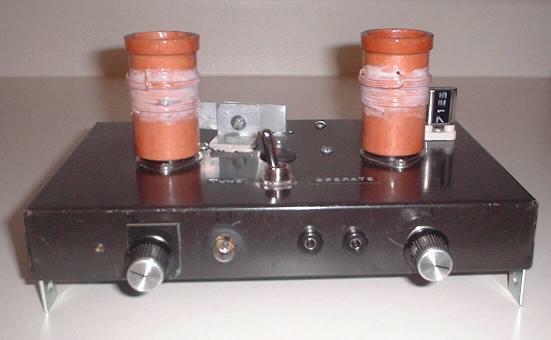 Below is a summary of my homebrew activities, built around a 3-watt CW transmitter for 40 meters or 80 meters, based on an article in QST, June 1967 by Doug DeMaw (W1FB) and an adaptation thereof by KC6WDK. I never had any indication that anyone heard me. My antenna is a dipole for 40 meters, but it was only 7 feet off the ground. 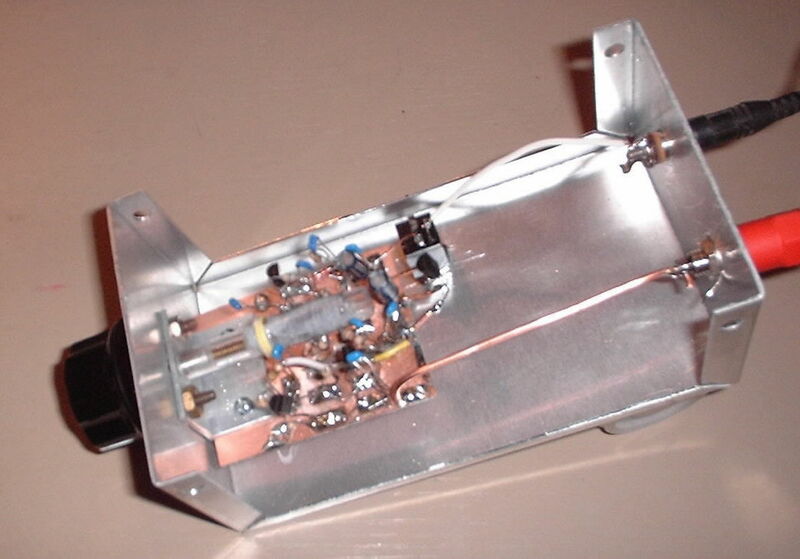 Since then, I have replaced Q1 and Q2 and rebuilt the transmitter using the photo in QST as a guide. I was able to use just the lid of my former assembly as the chassis. I eliminated an etched circuit board (my own design, which turned out to be worse than useless), the bottom section of the file box, and all the excess wiring that I originally used. I was finally able to raise the dipole to 15 feet. I also found a mistake in my coil windings, so after an ugly rewinding attempt poorly secured with messy varnish, I bought all new wire and rewound the coils based on a formula I found in a 1943 edition of "Everybody's Radio Manual" (Popular Science). This time, I used Q-Dope to secure the windings. Performance improved immediately. The transmitter (aka exciter) now has small angle braces with rubber feet attached at the bottom, to widen the unit and provide stability. Q2's heat sink is mounted on the top of the chassis. A 1/2" hole was drilled through the chassis to allow plenty of room to insert the transistor up through the chassis, and the heat sink is insulated from the chassis with polyeurethane-based caulk. The transistor fits snugly and I used heat sink grease. 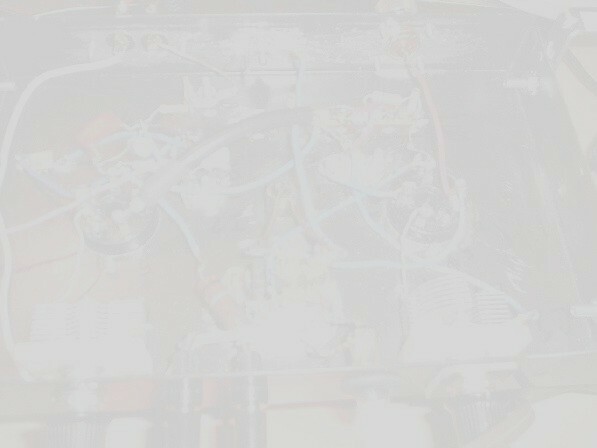 The transistor leads remain inside the chassis, and its case does not touch the chassis. I am using a 12 volt power supply, which puts out 13.8 volts. 12 volts was stated to be an usable level of power by the original article, although output is thereby decreased by around 50 percent. In 2004, when I told a local radio supply store guy what I had built, he replied "Oh...the intermod special". 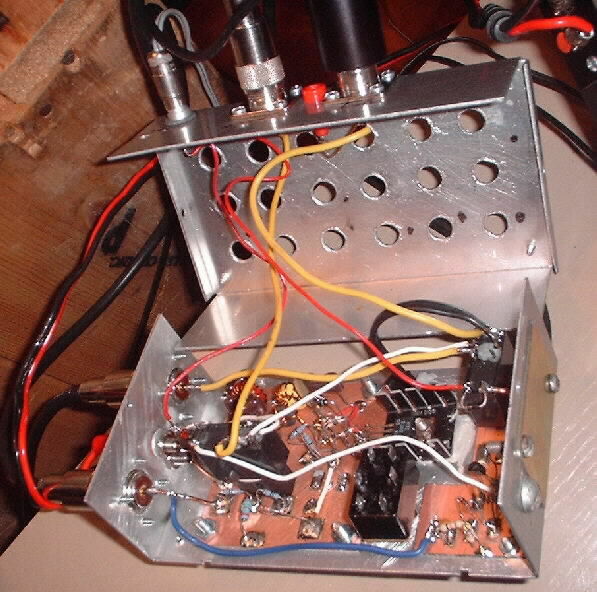 So then and there I decided to build a lowpass filter, which is now between the transmitter and the Miniboots amp. I also began using a PTO/VFO, built from a kit purchased from WA6OTP. 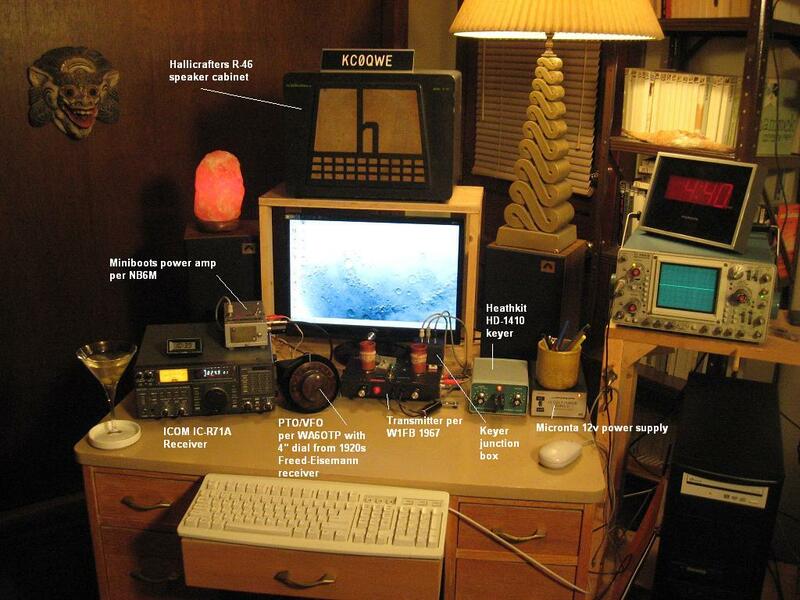 I managed to acquire about 35 QSLs with my rig in 2004, all from the USA. The PTO/VFO suffered sudden trauma and stopped working in late 2004, and other priorites kept me away from amateur radio until 2011. 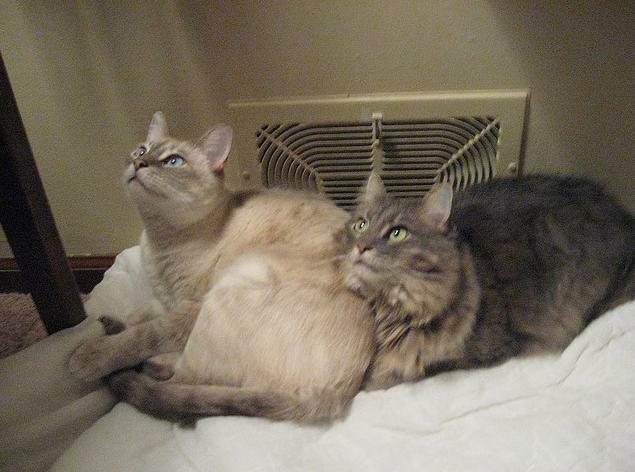 I troubleshot the rig during the winter of 2011/2012 while refreshing my CW skills. 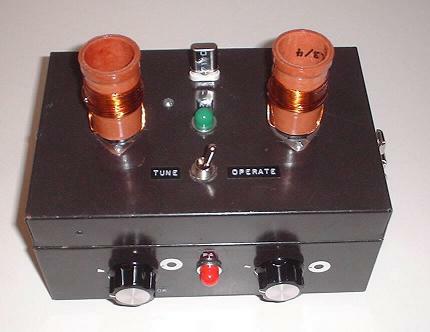 On the left is a multi-antenna switch box for SWL (60 meters) DX-ing use. On top of the Icom IC-R71A receiver is the PTO/VFO. It receives 12 V whenever the key is closed, from the transmitter via a mini M-M cable connection. Its output enters the transmitter via a RCA M-M cable connection. 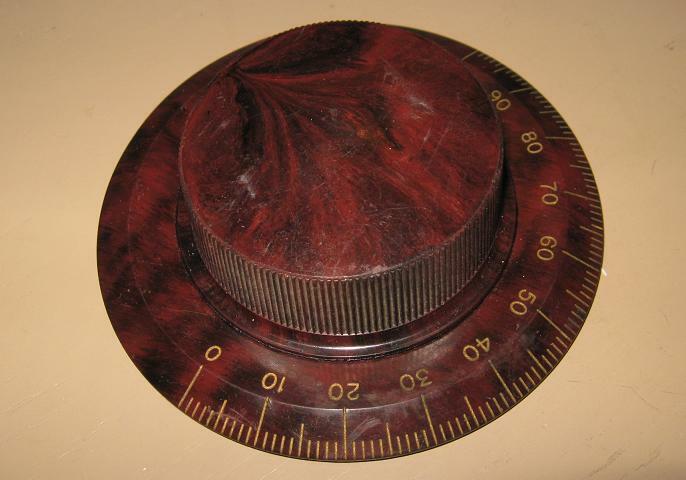 To the right of the transmitter is a Nye-Viking straight key mounted on a piece of varnished masonite. To the right of that, a Micronta 12 Volt power supply. I probably should have used a more recent transmitter design. But because this is consisdered a "classic" design that's been thoroughly tested, I figured I'd learn a lot. And I believe I did. 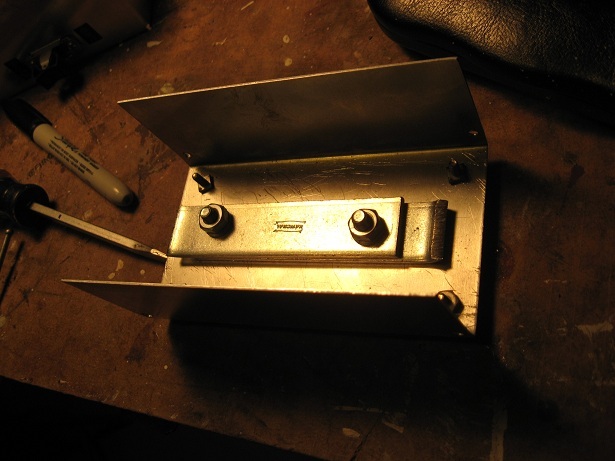 Here's a closeup of bottom of the PTO/VFO enclosure - weighted with two steel bars for stability. And its guts...note the many holes drilled in the bottom of the enclosure. They're not for ventilation; this enclosure used to house an audio patch bay filled with RCA jacks. 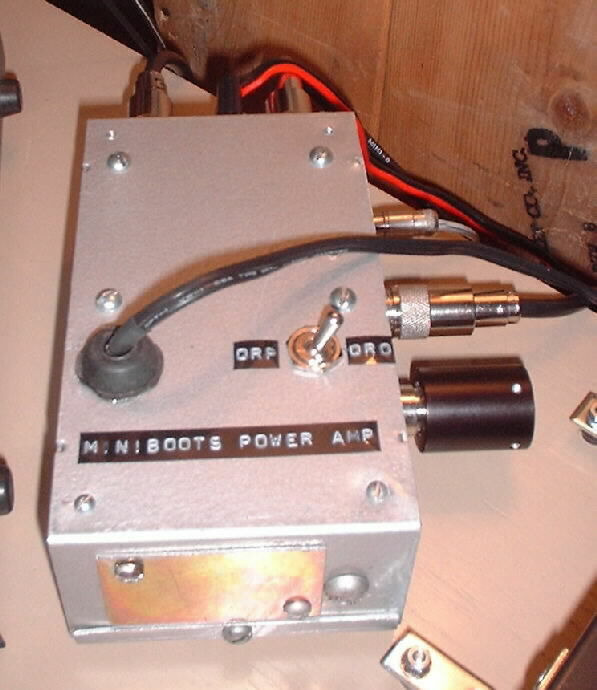 The Miniboots amp uses an RF-triggered relay to switch between transmit and receive modes (it switches the antenna between the receiver and amp). My adaptation also uses a second relay, which keys the transmitter and simultaneously switches the amp's output from antenna to dummy load (the black cylinder) when 12 V is applied via a foot switch. This is how I zero-beat with this rig. The receiver's meter is nearly pegged when transmitting and zero-beating, but no harm seems to be done, so for simplicity's sake I'm leaving it like that instead of generating a sidetone. Output is around 8 watts. 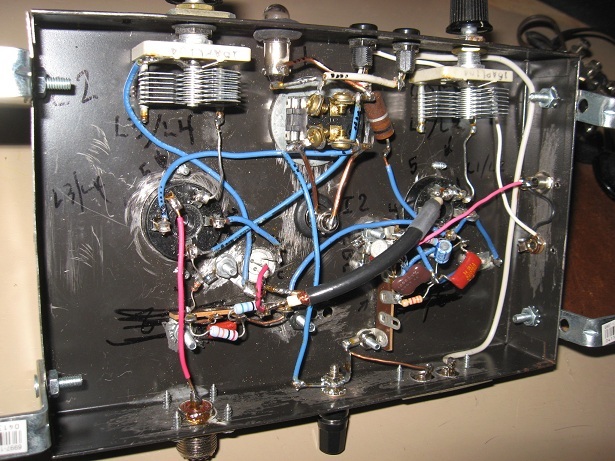 There is a "QRO/QRP" switch on top, but I disabled it since I don't transmit with anything under 8 watts anymore. Many thanks to Steve Smith WB6TNL, Howard Kraus K2UD, and others for assistance in troubleshooting!